Lianne La Havas, née Lianne Barnes, presents listeners with a soulful, sultry musical catalog that mimics tunes from decades past. The 24-year old London native accompanies a powerful voice with a funky aesthetic – natural tresses, thick winged eyeliner, collared shirts, hip prints, thigh bearing shorts, A-line skirts and chunky heels that challenge every industry imposed standard for women of color. Born to a Jamaican mother, who introduced her to The Fugees, Stevie Wonder, Jill Scott and Mary J. Blige, and a Greek father, who taught her the basics of guitar and piano early on, Lianne credits these early musical exposures for their influence on her own music. And though her melodies have often times left me reminiscent of earlier greats and even contemporary songstresses like Erykah Badu, Lauryn Hill, Corinne Bailey Rae, and Amy Winehouse, La Havas still manages to maintain a style of her own. La Havas’ vocals belt out lyrics that bear an undeniable, relatable essence of truth. The songstresses most recent project, Is Your Love Big Enough?, dropped in 2012 and named iTunes’ 2012 UK Album of the Year, evokes a range of emotions and isn’t necessarily boxed into one genre. 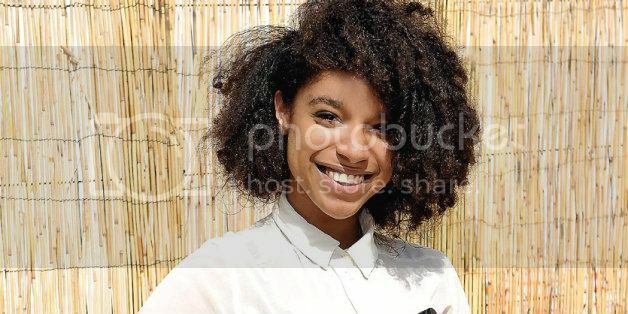 In fact, La Havas prides herself in producing and writing music that is just that, out-of-the-box but still personable. One can find music with soul, folk, R&B, pop, and a span of other flares in La Havas, all aspects that hint at a promising future for this budding star. Interestingly, musical legend Prince thinks so, too. The purple one reached out to La Havas after watching a number of her performances online and then invited the singer out to his Paisley Park studio outside of Minneapolis. Earlier this year, Prince even announced his ‘Hit and Run’ tour from the very comfort of La Havas’ front room! If you’re more adventurous, check out YouTube for a search of your own (I may have helped you out a bit) or La Havas’ SoundCloud for album clips and recordings of live performances. Lastly, if you happen to like her vibe, support the album over on iTunes or Amazon . Krislyn Domingue is a rising sophomore, Sociology & Anthropology and Comparative Women’s Studies double major at Spelman College in Atlanta, Georgia. She enjoys reading, writing, and sipping Chai Tea. Email: krislynshonte@gmail.com; Twitter: @krislynsd.